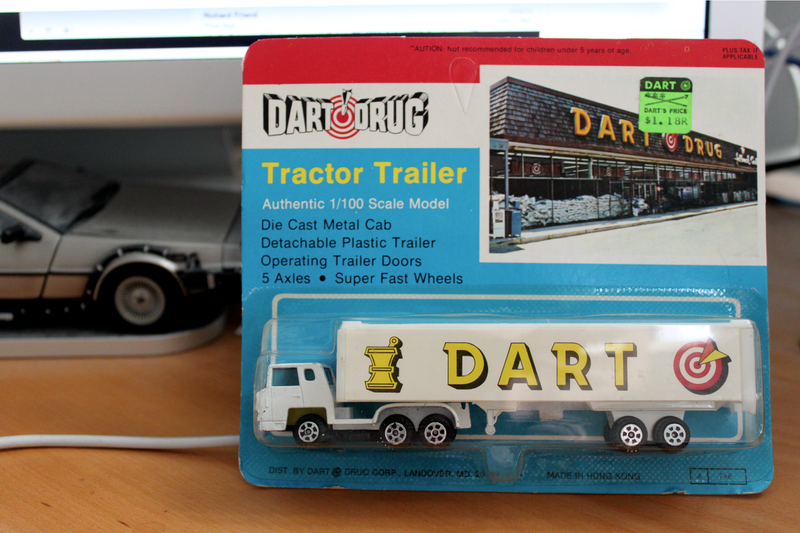 Awhile back, I found this wonderful little Dart Drug truck on eBay—remarkably, still in its original packaging. 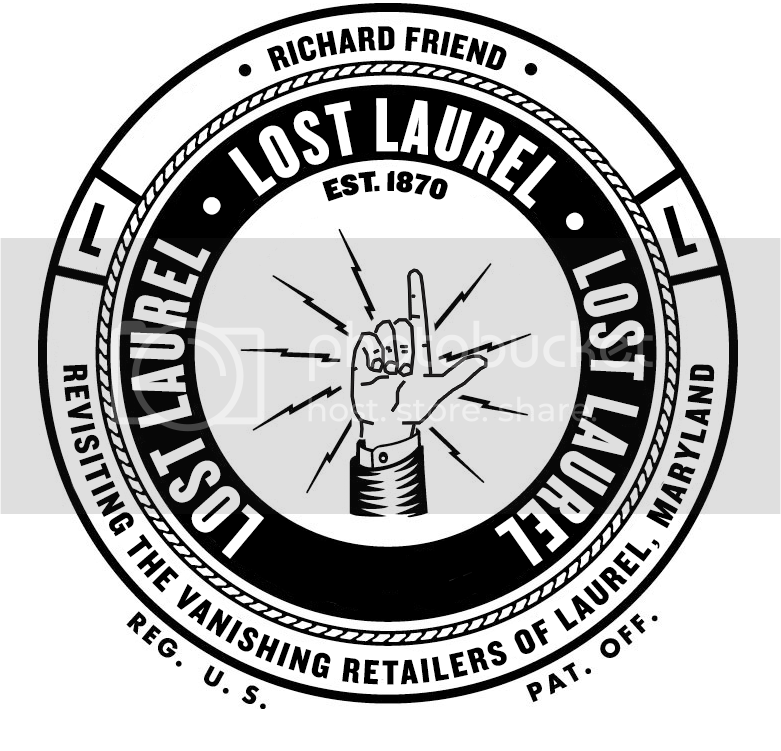 For me, it was a perfect reminder of one of my all-time favorite stores while growing up in Laurel. In fact, I grew up just around the corner from it at Steward Manor; and made at least as many candy and magazine trips there as I did to the 7-Eleven directly across Laurel-Bowie Rd. At that time, (this being the early-to-mid-1980s) Dart Drug was situated beside Safeway—before the latter relocated to the new Laurel Lakes shopping center in 1985. And when I was a kid, I could simply cross Lafayette Avenue and the railroad tracks and already be in the parking lot. So, yes—in the context of Dart Drug and Safeway, I literally grew up on the other side of the tracks. But I digress. 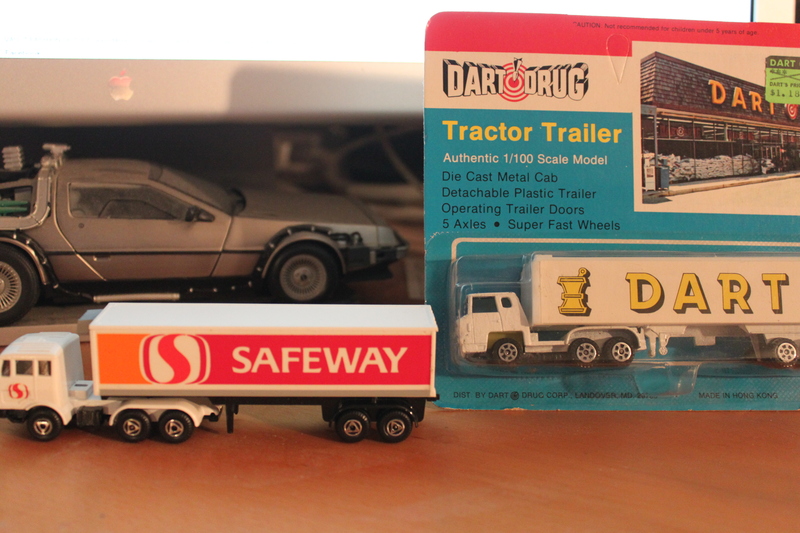 As cool as my new (old) toy was, it just didn’t feel complete without a Safeway item to balance it out. For me, the two will always be inseparable. To this day, I can’t think of Safeway without thinking of Dart Drug, and vice versa. 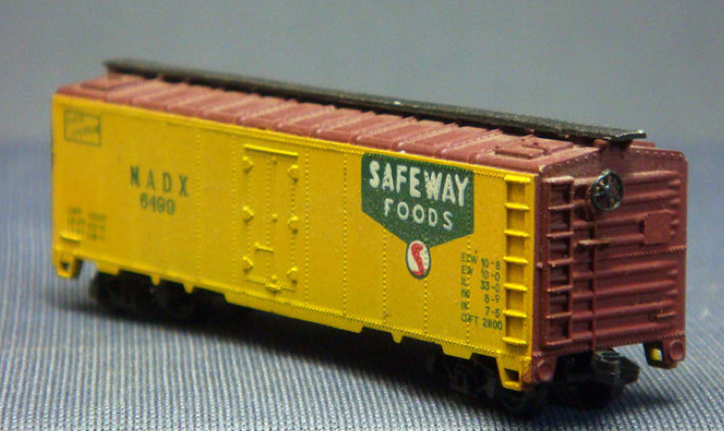 I had considered a Safeway railroad car, to represent the fact that “my” Safeway will always be associated with the aforementioned railroad tracks. But, lo and behold, I eventually tracked down a matching vintage toy truck. They seem to like each other. Once again, all is right with the world.